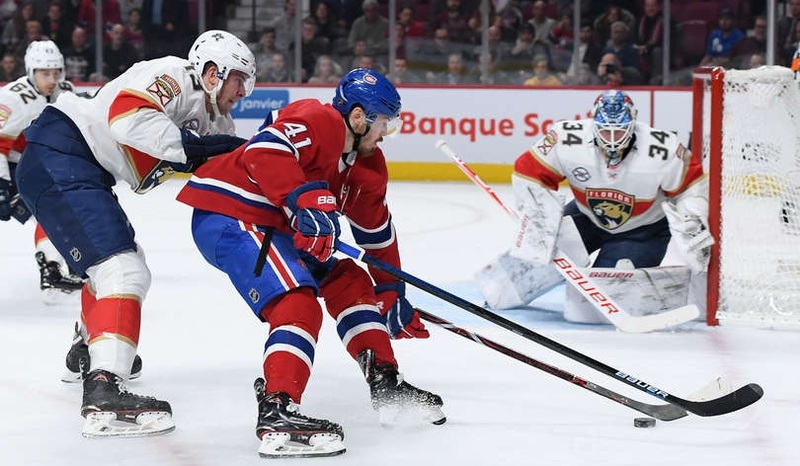 Only 24 hours after an absolutely riveting victory in Boston, the Habs were back on the ice Tuesday facing the Florida Panthers for the second time this season. In their first contest, the Habs were carried to victory by Tomas Tatar and Jonathan Drouin who had both ended the night with two points to help the team to a 5-3 win. After a performance of over 40 saves on Monday, Carey Price was given the night off as Antti Niemi made his second start against the Panthers. Niemi would also face the Florida backup as the Panthers opted for James Reimer. In a more surprising move, Claude Julien opted to keep the same alignment as Monday night. I say surprising because one would expect some tired players after a spirited affair the night prior and the Habs actually have some capable players in the press box. To be fair, the Habs won 5-1 but looked tired for much of the first and third periods. Niemi was an absolute stud and the team was opportunistic in handling the offensive side of the scoreboard. After a failed rush by Victor Mete, Phillip Danault opted for a strange time to change which left Shea Weber on his own to defend a 2-on-1 which forced Niemi to make a solid save in the first minute of the game against Barkov. 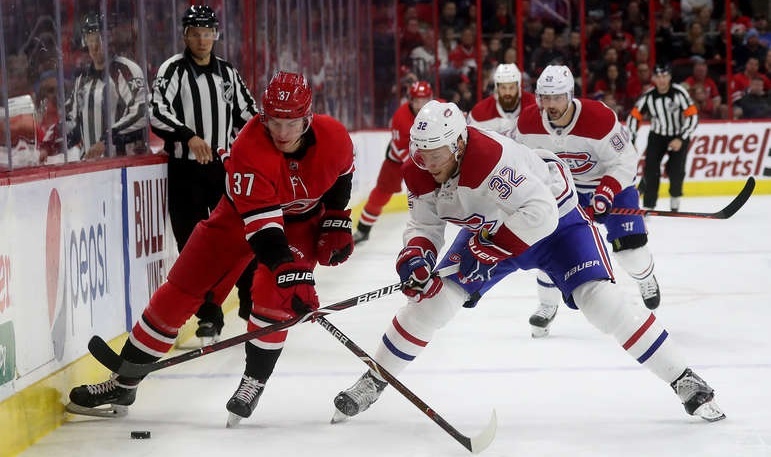 A minute later, a savvy pass by Jesperi Kotkaniemi at the offensive blue line opened a lane for Tatar to get Montreal’s first interesting attack on Reimer before the fourth line gave up a few good scoring chances to the Panthers. As both teams started to find the bearings to their defensive games, the scoring chances dissipated and so did the pace of the game, thankfully for the Habs who were clearly not as mentally sharp as they were against the Bruins. Just before the midway point of the period, Niemi had to come up huge as the defence fell asleep and gave up an easy breakaway to Juho Lammikko. The second half of the period started with some physical play as Mike Matheson lured Max Domi into some rough stuff after the whistle. As Domi’s temper has become customary, Matheson ended up with a minor for roughing while Domi was called for both roughing and unsportsmanlike conduct. Fans at the Bell Centre may not agree, but Domi must get accustomed to being targeted and not spending his time in the box. Luckily for him, Byron turned on the jets, created a 2-on-1 with Michael Chaput and then lured Jonathan Huberdeau to hold him to prevent the clear odd-man rush. At 4-on-4, Mete did everything right to get open and beat Reimer before firing wide on the empty net as his first NHL goal will have to wait some more. With just under six under minutes to play in the period, Mike Reilly and Chaput both made terrible decisions with the puck which led to a partial break for Mike Hoffman who pulled a one-handed deke on Niemi to score the first and only goal of the period. After the goal, Evgenii Dadonov hit the post on a one-timer, and then Frank Vatrano was stopped by a solid glove save by Niemi. With 18 seconds to play, Keith Yandle slashed Domi to send the Habs to the man advantage. After a terrible period, the Habs went to the room down only 1-0 after being outshot 16-6 and starting the second period with the carryover power play. With the advantage to start the period, the Habs had a chance to turn the tide and they did just that as Joel Armia and Jonathan Drouin set up Weber on a tee for a vintage bomb that beat Reimer to tie the game 29 seconds into the period. With momentum on their side, the Habs attacked the offensive zone and forced a series of turnovers and important Reimer saves. Three minutes later, Lammikko forechecked without control and ended up cross-checking Chaput to send Montreal back to the power play. Only 20 seconds in, Paul Byron rocked MacKenzie Weegar but it was a clear charging as Byron jumped to hit the player and was lucky to be called for only two minutes and not more. Weegar left the game and did not return. As the 4-on-4 expired, Kotkaniemi was sent to the box for cross-checking as Mark Pysyk was able to sell an innocent play to the officials on that one. Florida’s power play spent much of their time in the offensive zone, but they weren’t moving so the penalty was killed without allowing any dangerous chances. The second half of the period started much like the first. A Weber point blast went wide, but Reimer overplayed the shot. With the netminder out of position, Aaron Ekblad fanned on the puck and Danault was left with nothing to do but fire the puck into the open cage for a 2-1 Habs lead. Montreal continued to attack as many turnovers led to a Brett Kulak point shot. Reimer held the puck that was then punched out by Artturi Lehkonen. The loose puck was picked up by Max Domi and fired home. After much debate and a goaltender interference challenge, the goal was overturned. The Habs were visibly angry at the call since we’ve seen worse plays count when Price is being obstructed. The overturned call brought much discussion between the two teams after every whistle, but the game itself lost itself for a good five minutes following the call. This was the case until a strong forecheck by Tatar caused a turnover. The Habs quickly pounced as he found Domi who immediately found Byron. Reimer made a nice save but the rebound found Domi and this time it counted as the Habs went up 3-1 to end the period despite still trailing 32-17 in shots. The third period started opposite to the second as Florida came into the Montreal zone, only they were stopped as Niemi made back-to-back saves on Nick Bjugstad to keep the 2-goal cushion. This was the story of the first quarter of the frame as the Panthers attacked and the Habs defended well, but Niemi made solid saves when the coverage did falter. The most notable of those saves was a cross-crease pass to Aleksander Barkov which Niemi stopped with what appeared to be the shaft of his stick. This save woke up the Habs as they started to skate and at the very least started to exchange rushes with the Panthers instead of simply defending. The second half of the period started horribly as the Habs were called for too many men on the ice. Huberdeau started the power play by hitting the post after beating Niemi five-hole. Niemi followed that up with a highlight reel stop on Hoffman that left the Florida sniper shaking his head. Florida continued to attack until just under six minutes to play when Kotkaniemi scored an absolute beauty as he grabbed the puck in the neutral zone, used his body to protect the puck against Mike Matheson before toe-dragging Reimer with Matheson on his back. What. A. Goal. Down three goals, the Panthers removed Reimer with over four minutes to play, but the Panthers appeared mentally defeated as they continued to put pucks on Niemi but just were not willing to pay the physical price to reach the rebounds. Finally, with 1:36 to play, Gallagher fired the puck down the ice to make it 5-1 despite being outshot 53-28, and no, there are no typos in that shot count. So where are all the fans that wanted Niemi waived after the Tampa Bay game? A career high in saves held the team in the game for much of the first and third periods as the Habs were not the better team. 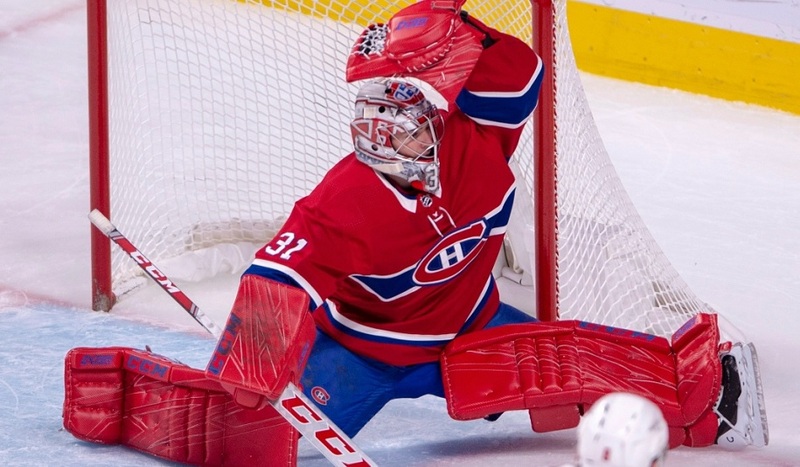 Sometimes, when Price is in the net, it’s difficult to tell which saves are hard and which ones weren’t. This is not the case with Niemi, so the large number of good scoring chances given up by the Habs tonight only makes the volume of saves that much more impressive. Then consider that through it all, Niemi only allowed one goal. Stats: 52 saves, 53 shots, .981 SV%, 1.01 G.A.A., 59:34 T.O.I. So, it looks like this kid may well be a player. Kotkaniemi was all over the ice all night long. He had at least a half-dozen defensive plays that prevented high percentage scoring chances. Then he had about a dozen offensive chances created that he either did not score on or his linemates could not finish. And then the goal – one that will likely be on seasonal highlight reels across the league. It was also the goal that really put an end to the Panthers as they were not scoring another three goals on Niemi after that. Stats: 1 goal, +1, 1 shot, 15:32 T.O.I. Weber has struggled defensively since being hit in the face with a puck. This was especially true on the rush where his speed can sometimes be an issue and, in all honesty, was still the case in this one. However, Weber was an offensive catalyst as he got the ball rolling with a vintage point shot, and then he was also at the origin of the second goal with the shot that missed the net to create a rebound. After this, he was a force in the defensive zone as he played physical and positionally sound when the Habs were in dire need of help getting the puck out of their zone. Stats: 1 goal, 1 assist, +2, 3 shots, 2 hits, 22:55 T.O.I. I’m not always a fan of his short temper but Domi managed to get mad, play on the edge, play hard, not take any crap, and stay on point when the puck was in play. Domi’s speed was on full display as soon as Julien started playing him with Tatar and Byron which helped him snap his goalless drought. An interesting and speedy combination. Stats: 1 goal, +1, 1 shot, 2 hits, 13:53 T.O.I. Following the game, the Canadiens announced that they’ve returned Karl Alzner to Laval. He’s expected to suit up in their game against Belleville on Wednesday and then be recalled in time for Montreal’s next contest in Columbus.